Limit online threats and protect your organisation against fraudulent login attempts. By adding One Time Passwords as a second layer of authentication to your login processes, you are sure the login session is done by the authorised user. 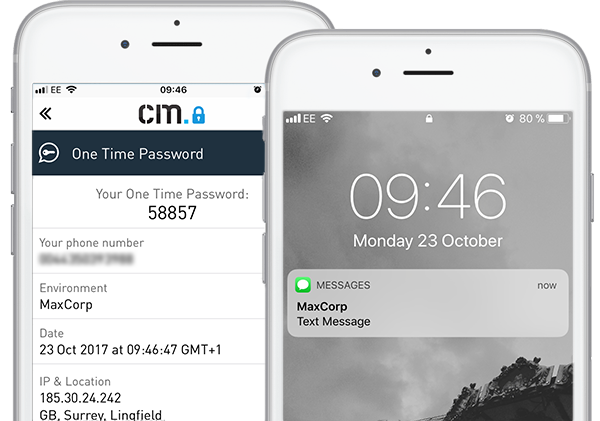 CM.com offers several reliable Two-factor Authentication solutions via One Time Passwords with worldwide coverage. Depending on your users, choose or combine OTP via SMS, Voice and Push. 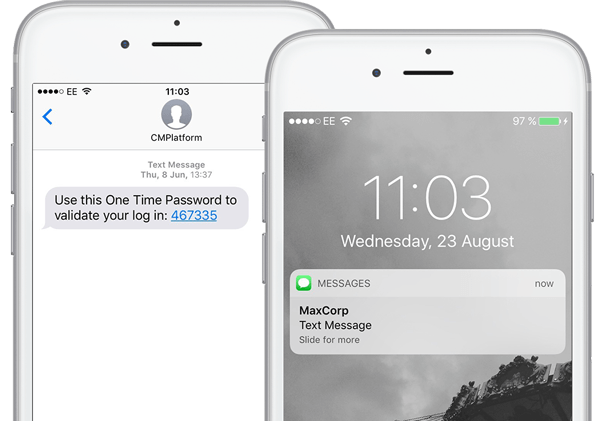 By choosing our multi-channel solution Hybrid, One Time Passwords are delivered with fallback via one of our other channels. You can use the API of CM.com to generate OTPs, generate your own passwords for 2FA and let CM.com deliver them or use a security partner of your choice. Through our platform, you'll be able to use SMS, Voice and Push for more purposes. Joining CM.com gives you access to all our mobile solutions. With a 98% open rate within 30 seconds, SMS is known for its high reliability. By sending One Time Passwords via SMS, you are sure to reach your users wherever they are. Even when users don't have access to the internet they can still use this multi-factor authentication solution. An alternative to SMS is Voice. With Voice, the spoken password is received as a phone call on the user's mobile. The passwords will not be stored on the user's phone and Voice allows you to reach users with limited sight. You can also implement Voice as a back-up in case your SMS is not delivered. Want to know more about our Voice OTP? Contact us now, we are happy to tell you more. If you have an app, you can send One Time Passwords via the cost effective channel Push. Your user will be shown the Password in their app, after which it will no longer be seen on their phone. A targeted solution for single login sessions, used for both consumers and employees. Also want to reach people who don't have your app, or those who are temporarily offline? Read more about Hybrid OTP below. By making smart combinations between our different OTP solutions, you will make sure all passwords are delivered successfully. In case an SMS cannot be delivered, you can choose Voice as a backup. Or are you sending your OTP via Push? If the user is offline or doesn’t have your app installed, the OTP can be sent via SMS fallback. OTPs via CM.com are very stable. Every time an employee wants to login, it is possible – no matter what time of the day. Our employees are very satisfied about the ease and delivery time of the SMS messages containing the One Time Passwords. We are a 24/7 organisation. It is crucial to receive SMS messages for Two-Factor Authentication immediately. CM.com can be reached by day and night, all year round.